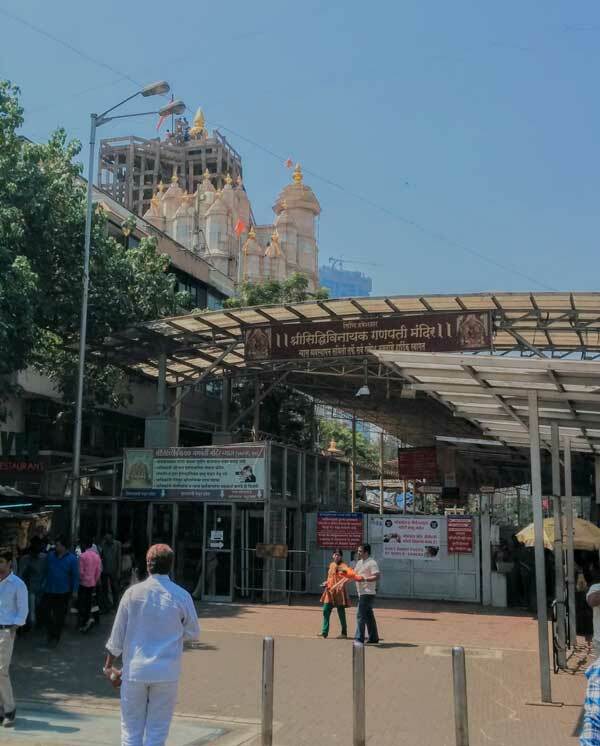 Lord of the Lords Shee Sidhi Vinayak temple is situated in Prabhadevi, Mumbai, and this is one of the oldest temple of Shri Ganesha , and a favorite among the Mumbaikars. 'Who is Who' of Mumbai are all ardent devotees of this lovable and very powerful Ganesha. Sachin Tendulkar, Amitabhs, Ambanis, Lata Mangeshkar, Thackrey are some of the well known personalities who visit the temple regularly. The idol of Shree Siddhivinayak was carved out of a single black stone and is 2'6" high and 2' wide with the trunk on the right. The upper right and left hands hold a lotus and an axe respectively while the lower right and left hands hold a japamala and bowl full of 'Modakams' . A snake appears on the left shoulder to right side belly as a sacred thread. On the forehead of deity is an eye, which almost looks like the third eye of Lord Shiva. On both sides of the Lord Ganesh idol, are placed one idol each of Riddhi and Siddhi goddesses. Because of these two deities along with Lord Ganesh, this temple is known as the Siddhivinayak Ganapati Temple. These goddesses signify sanctity, success, wealth and prosperity. I have become an ardent devotee after my visit during late 70's. I am lucky that I am truly blessed by him and he always listens to my prayers. How to reach? It is in Prabhadevi,in the heart of the Mumbai city and well connected with plenty of BEST buses. Taxis are also inexpensive and you can find plenty of them and the friendly drivers will be more than willing to take you there. No auto rickshaws are permitted within the city. A word of advise. Due to security reasons your personal belongings, cameras cellphones are not allowed inside. They have lockers to secure your belongings. Even the coconuts for the pooja are scanned before they let you in. Temple timings: The temple opens at 3:15 am on Tuesdays and at 5:00 am on all other days.Temple is closed for "Bhog" from 12 noon to 12.35 p.m. on all days and for Aarti from 7 p.m. to 8.15 p.m. on all days and on Tuesdays from 9.00 p.m. to 10.00 p.m.
Tuesdays, Saturdays, Sundays and public holidays are the days that are very crowded. You will always be able to have a comfortable darshan once you reach the temple. Such is the power of this Lord Ganesh.